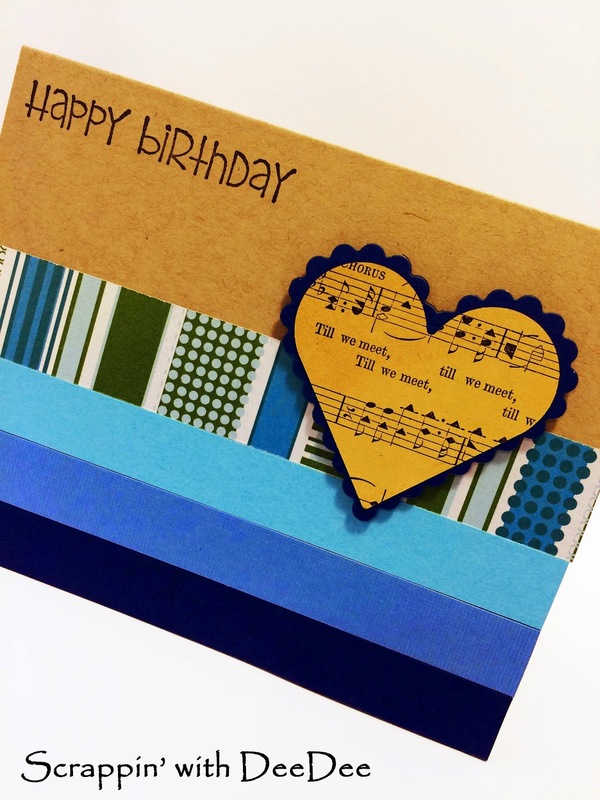 This is a very simple guy's birthday card using all scraps. I made this one for my guy's birthday this year. I don't think the scalloped heart is too much, do you? I just grabbed some matching blue papers from my scrap bin, cut them into strips and glued them to the card base made of Kraft card stock. Blue is my guy's favorite color, so the color choice was easy. 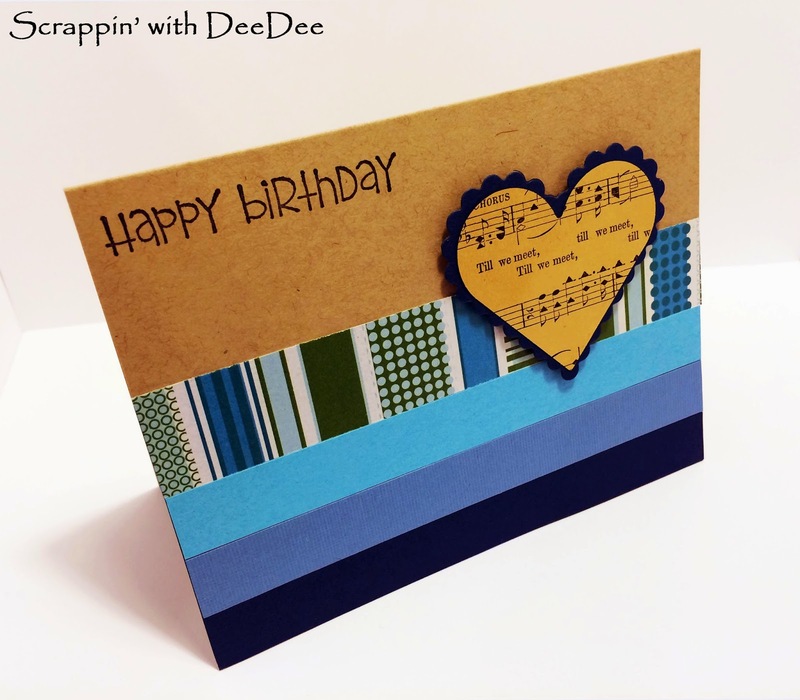 The Happy Birthday stamp is a Kim Hughes stamp that I've had forever and I love it and I use it ALL THE TIME! 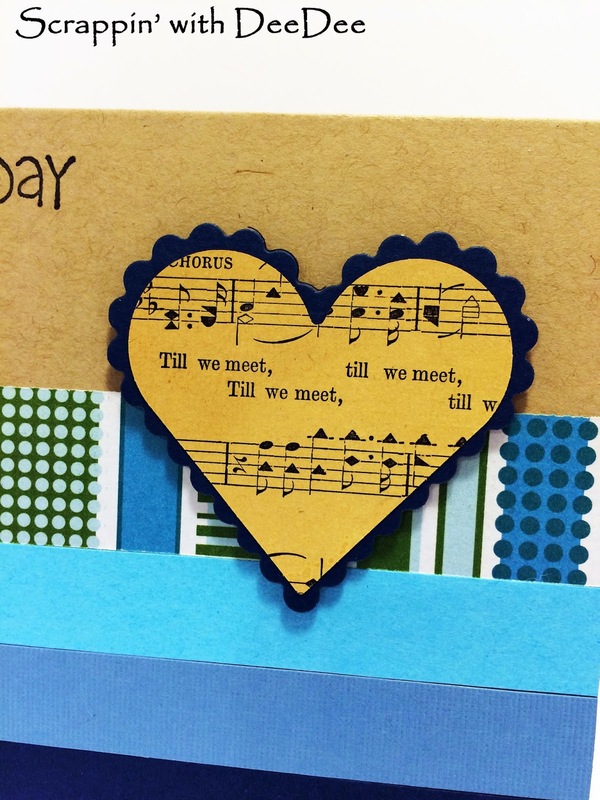 The heart is made using my Nesties and a page from an old hymnal I have. Love using the old book pages on my cards. I placed the heart on the card with some foam tape to raise it up off the card base a bit. He loved it of course. 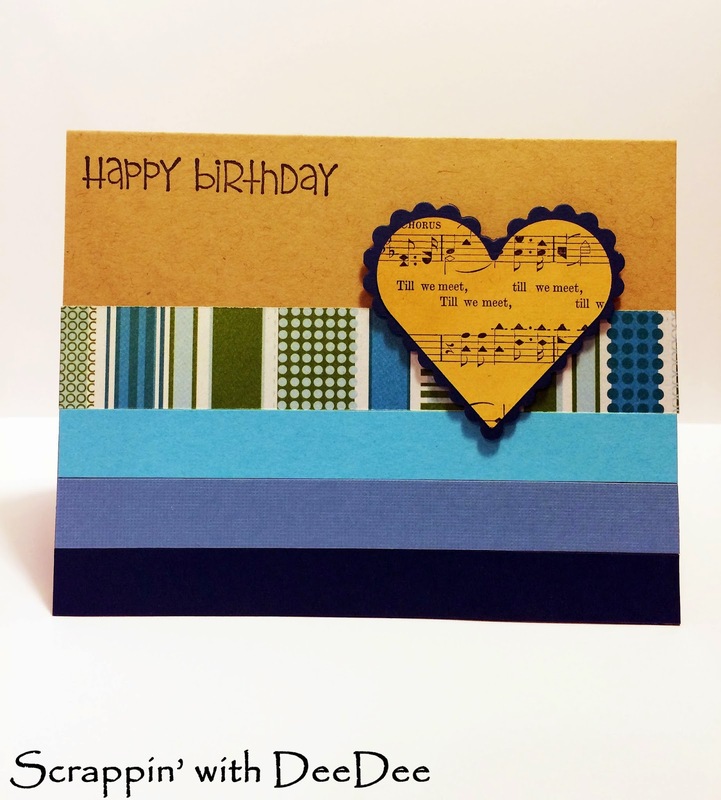 Guy cards are hard to do and not make too frilly, but I find that simplicity is best when creating a card for guy. You are so talented! Adore these cards. Best wishes!